Popcorn scented? I'm sold. 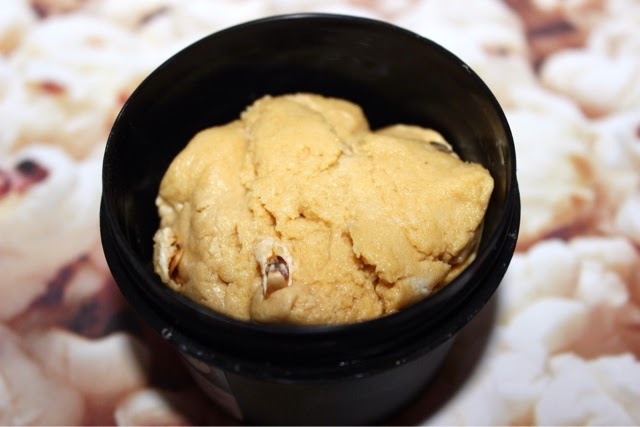 If you've been reading my blog for a while you will know that I love Lush's popcorn lip scrub! So when I ventured into lush the other week I asked the sales assistant if she had anything else popcorn scented. 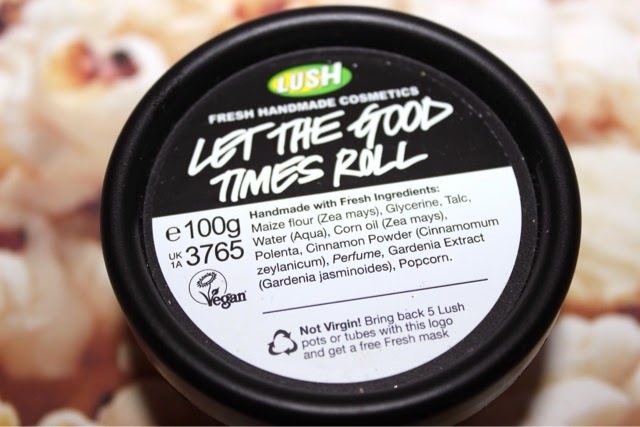 She introduced me to this delicious face scrub/cleanser called 'Let the Good Times Roll'. Straight away the scent is clear that it is popcorn, which if you are like me and hate washing by your nose with a bad smelling cleanser you will fall head over heels for this one! You just get a little scoop full and add a tiny amount of water to create a scrub like consistence. Then onto damp skin I just massage it in till I feel nice and clean. 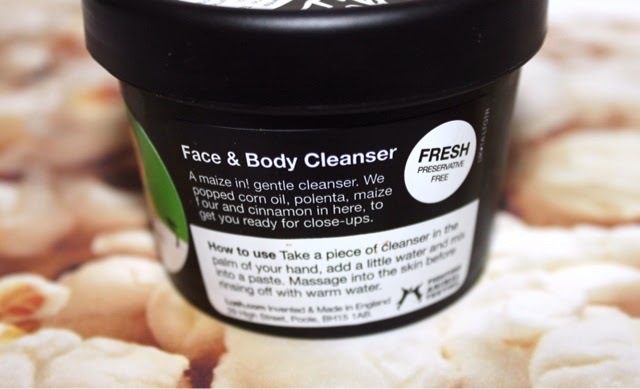 It leaves my skin feeling smoother and then allows make-up to go on easier and smoothly. A little goes a long way, I also find that although this is not a massive tub it is going to last me so long due to only needing a small amount. Unlike most face scrubs that are in tubes or bottles out of a tub it is easy to use up all the product. 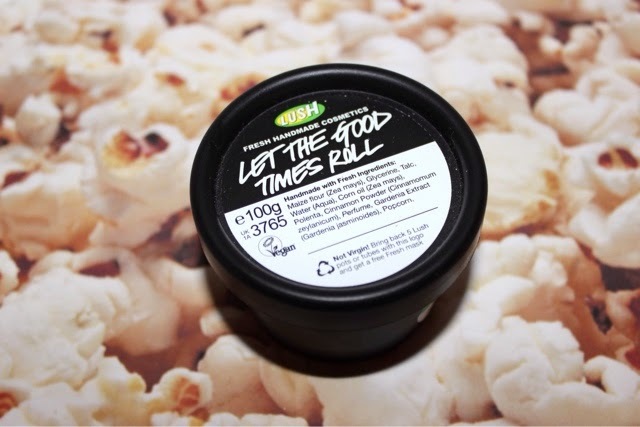 This little tub has managed to feel my mornings with joy, leaving a lush popcorn scent lingering around my nose!